METAL – THE NEXT BIG FUEL? According to a new report from researchers at McGill University, powdered metal fuels could be an effective replacement for the fossil fuels we currently rely on: coal, oil and natural gas. As well as providing an alternative energy source, powdered metals would significantly slash carbon emissions and environmental damage. Not only do grains of powdered metal contain more energy per liter than any conventional fuel, but the fuel may be recyclable in some cases. By grinding the metal, the ratio between the surface area and volume of the grains is vastly increased – making a ‘better’ burning product. However, it is important to note that the powder would not be a primary energy source like petroleum, but rather a storage medium for energy sources such as nuclear or hydroelectric power. Whilst this technology may seem promising, there are considerable downsides in that: this method is currently not cost-competitive, and the investment in heavy mining equipment to obtain these metals would likely off-set any carbon saved in the actual burning of the metal. Additionally, developments in battery capacity and efficiency still lag behind, making it difficult for powdered metals to be used effectively as an alternative fuel source. Despite this, the rapid pace of development and modern technology may mean that we see powdered metal as a viable energy alternative in the not-so-distant future! China is planning the construction of a particle accelerator seven times more powerful than the CERN Large Hadron Collider (LHC), which discovered the Higgs boson. The collider will form part a 100km loop (3 times more powerful than the LHC) and will allow for deviations in readings to produce accurate data for theoretical physicist to use in their hypotheses. The Chinese particle accelerator differs from the LHC in that it only produces Higgs bosons, making a ‘cleaner’ environment for data analysis. Whilst the project is indeed ambitious, the pace of construction is impressive – with estimates for completion of design in 2018 and work commencing in 2020. The last 2 weeks sent shockwaves through the Chinese smartphone and tablet device markets, with the long-anticipated announcements of new devices by Xiaomi and Meizu. Tech giants in their own right, both companies have come out with guns-blazing with new and improved devices. But once we step-back from the hype, there’s a striking similarity between them (and indeed, many other devices currently on the market) – ALL METAL DEVICES ARE IN! Not only does this move signal a paradigm shift from the cheaper reinforced plastic versions of their predecessors, but perhaps we’re finally seeing a responsiveness from tech companies to the demand for a ‘premium-feeling’ that only metal can deliver. Smartphones from HTC and Apple have sported metal exteriors for several years, so it’s a welcome relief to have a metal-clad warrior bursting onto (and from!) the Chinese domestic stage. Stainless steel is an iron alloy that have minimum of 10.5% chromium content by mass. It is known as inox steel or inox from French “inoxydable”. The first stainless steel was discovered by Harry Brearley, a Sheffield metallurgist when he was doing the experiment with different types of steel for weapons in 1913. He noticed that a 13% Chromium steel had not corroded after several months. Stainless steel can be milled into strip, tube, wire, sheet, or bar. It has been used for numerous industries, such as cookware and cutlery, household hardware, surgical instruments, industrial equipment, jewelry, and many more! The manufacturing of stainless steel divided into 6 processes: melting and casting, forming, heat treatment, de-scaling, cutting, and finishing. First, the steel which is the raw material of stainless steel is melted in an electric furnace. Second, it goes through forming operations with hot rolling machine. Third it goes to the heat treatment called annealing step. The purpose of this step is to relieve internal stresses and soften the metal. The annealing step caused a scale on the steel, it needs to be removed. This process called de-scaling process. And then the next step is cutting and finishing. Stainless steel can be divided into five groups based on the combination of metal alloys. 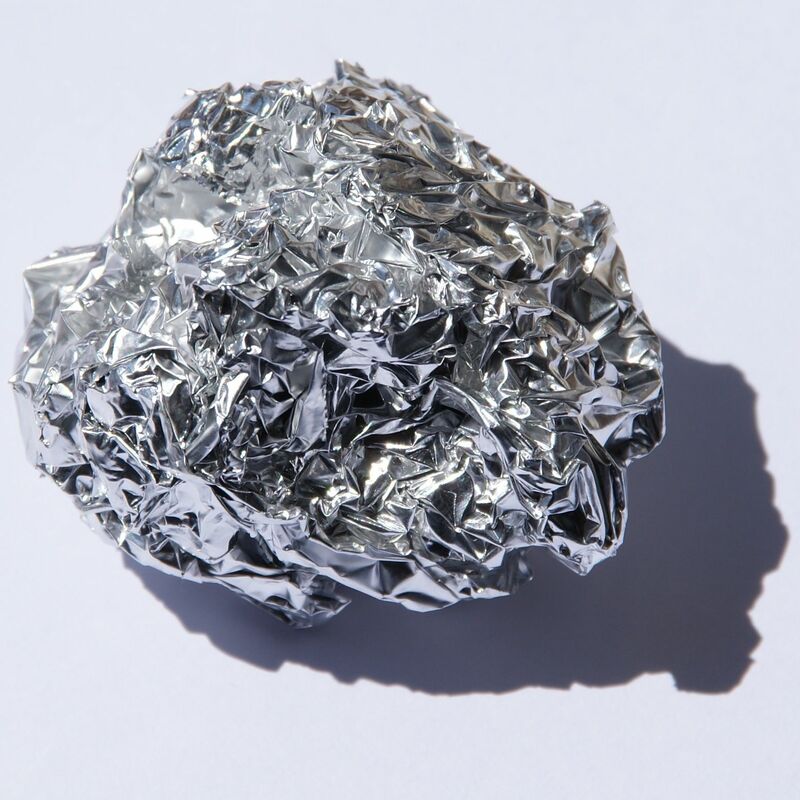 Austenitic has a combination of 18% chromium and 10% nickel. Martensitic contain 12-15% chromium, 0.2-1% molybdenum, and 0.1-1% carbon. Ferritic contains between 10.5% until 27% chromium. Another two groups are duplex and precipitation hardening. The durability of stainless steel is adorable! It resists corrosion and oxidation. It has the ability to resist rust because when stainless steel exposed to oxygen and moisture, stainless steel produces a thin oxide film and essentially it repairs by itself. Stainless steel can be expands and contracts when the temperature varies. Construction industries have to account for thermal expansion when they use steel material including stainless steel for a building. 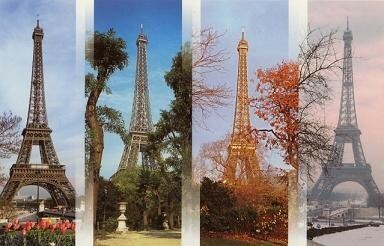 For example, The Eiffel Tower is approximately 984 feet tall during summer but on cold days, the metal tower is approximately 6 inches shorter. 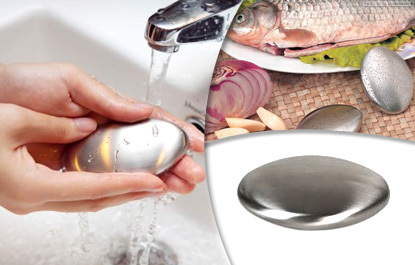 Stainless steel can be made into “soap” because it can neutralize strong odors on the hands, like garlic, onion, or fish odor. This unique property due to sulfur compounds in stainless steel that can reduce odors. Stainless steel is 100% recyclable. 60% of stainless steel is made from recycled materials. In 2013, total world crude steel production was 1,607.2 mmt. The biggest steel producer is currently China, which accounted for 48.5% of world’s steel production. Stainless steel is unique. It also has multipurpose functions and can be use in numerous industries. China as the top of steel producer and Shanghai Metal Corporation which is based in China is one of the leading businesses in the manufacturing of metalworking industry. We can produce and export the best quality of stainless steel and other metal products and service. We prioritize the efficient of manufacturing and environmental sustainability. China is the biggest expanding country in the world right now. With it’s population of over 1.35 billion, this ever-growing country has also BIG DREAMS to fulfill. Literately, these dreams are made of metals. Lots and lots of metal are needed to build SKYSCRAPERS. Especially in Shanghai, skyscrapers have an imposing figure in the city. You could even consider it’s main symbol as an urban landscape view of buildings and skyscrapers. Therefore skyscrapers are not just basic human construction, they are symbols of economic success and prosperity of one’s city and country. Some people think that buildings mean a realized and achieved dream. This building, called the SHANGHAI TOWER, is the tallest one in China and second world’s tallest with it’s 600 meter height and 128 floors. As the skyline’s most prominent icon, the tower’s transparent, spiral form will showcase cutting-edge sustainable strategies and public spaces that set new standards for green community. Shanghai Tower will house Class-A office space, entertainment venues, retail, a conference center, a luxury hotel and cultural amenity spaces. Like we said before, skyscrapers are synonym of economical success. 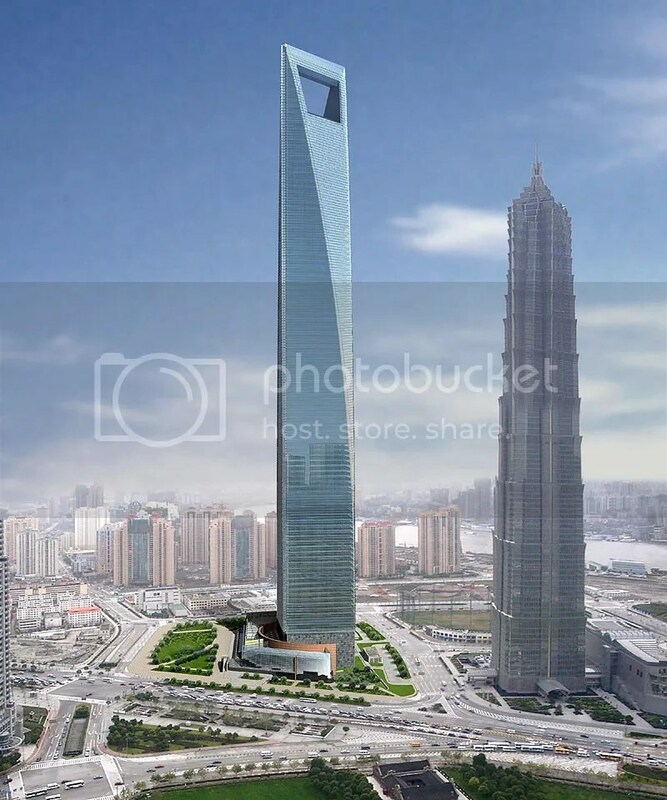 The very name of this supertall skyscraper confirms it all : SHANGHAI WORLD FINANCIAL CENTER, is the second tallest building made in Shanghai. China’s architectural design are known for it’s originality too. The Oriental Pearl Tower, with it’s famous shape is very well-known in the city and by others who have visited the city of Shanghai. “The Golden Prosperity Building” also known as the Jinmao Building or Jinmao Tower again, reflects this idea of success in the city. There it is, Shanghai as China’s biggest city, offers also the tallest skyscrapers in the world. An international city like this one has to show the world and it’s people that it can keep up with everyone’s expectations. These skyscrapers are known worldwide for their outstanding height, as China’s economical situation and influence keep on growing to have higher goals in the future. Simple elements like metal can contribute to achieve bigger dreams and that’s what Shanghai Metal Corporation can provide you ! As representatives of the metal industry, Shanghai Metal Corporation is one of the leading businesses in the manufacturing of metal quality products in the global field. As a major producer of stainless steel, copper, aluminium, steel and other metal products and service, we essentially are committed to the universal use that metal can offer by delivering overseas and promoting environmental sustainability. 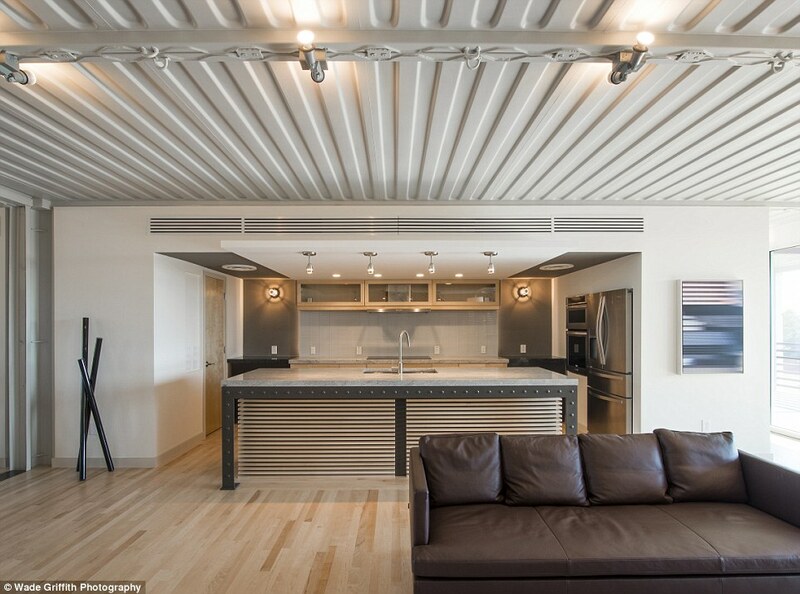 Homes made from shipping containers are very trendy right now ! Why exactly ? Maybe because it is capable of offering more than it’s basic use (normally we use them to transport a large amounts of goods on boats or trains). Therefore shipping containers are multi functional ; not only they serve as object carriers but we can also create stylish homes to your personal needs ! With this idea, check out these 5 houses made of shipping containers which have MINIMALIST DESIGN. Even though you can find a bunch of other designs we think that minimalist design suits the very basic concept of shipping containers which is to accommodate some goods. Houses basically, also follows this ideal. 1. See that sweet comfortable and portable house ? 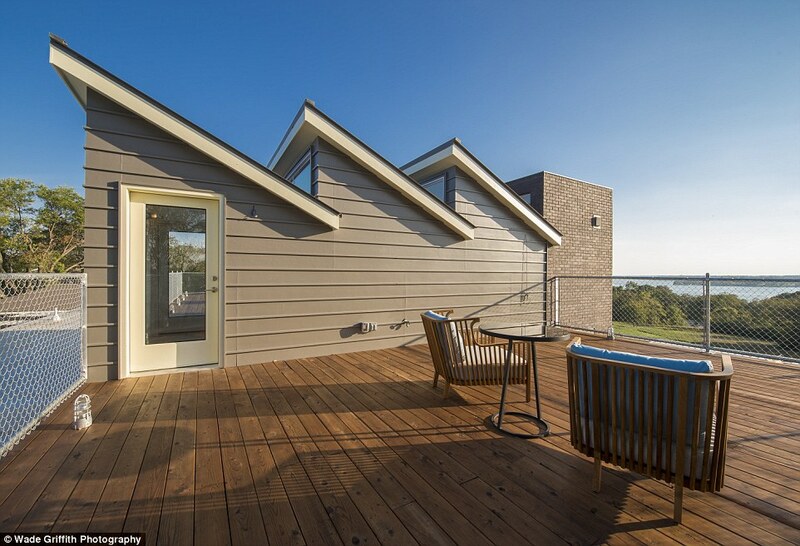 This house is the perfect movable house if you seek tranquility. It’s cozy and simple design puts your mind at ease and you can enjoy a relax stay in any spot of your choice ! The interior reminds a Japanese style house ; all wooden, natural and eco-friendly. 2. What about this simple veranda style one ? If you’re more of a stable person, maybe you would prefer this one. This house gives you the feeling of tranquility with it’s classic and retro design. Having more space allows your mind and your body to relax more easily. 3. What’s the thing about white houses ? 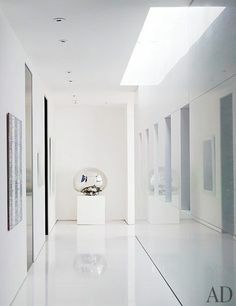 White houses, particularly this white gem, define purity. 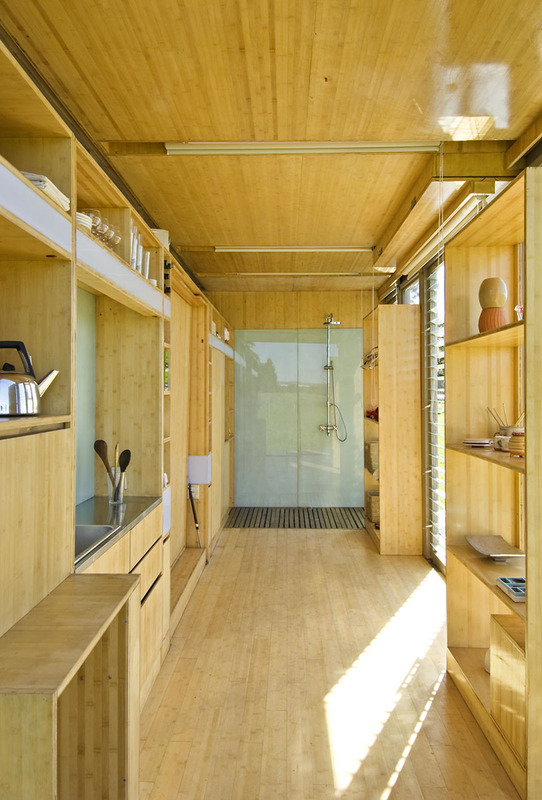 If you’re in need of cleansing that soul of yours, maybe this container house will do you good. Elegant, simple and classy, this house is located on a hilltop ; whatever your mood is, the purity that emits this house is magical whether you’re alone or with your loved ones. 4. 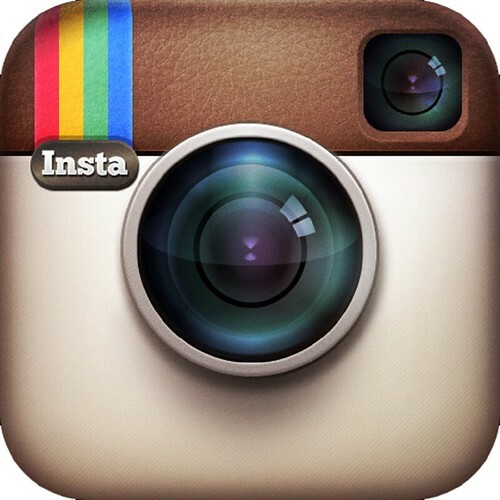 What about for those who need a view ? Don’t worry, this special model is built for those who seek not only a comfy home but also a view that will take your breath away. With it’s terrace, you could enjoy the beautiful sun and sky as long as you want to. This house kinds of have two personality with it’s openness to the outside world but it also provides privacy to it’s owner. 5. Do you see a swimming pool ? What’s better than a container house is, of course, one with a pool to dip in after a hard day’s work ; this little beauty down here makes everything better with it’s peaceful green surroundings. Once you take a dip in that jade green water, you will feel rejuvenated again. 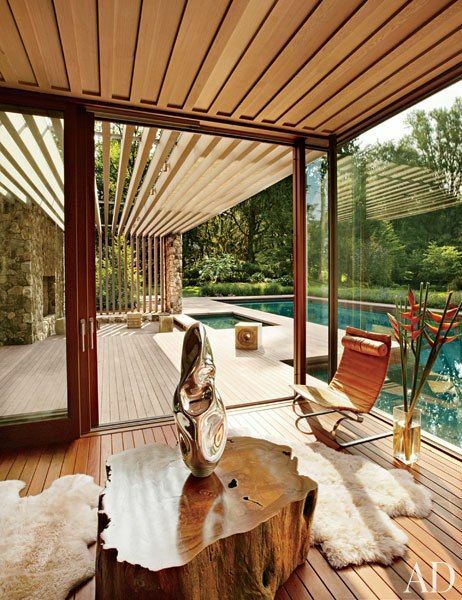 The house’s design perfectly fits with the natural environment in which it is constructed. So not only you will gain inner peace, you will also merge with mother nature. 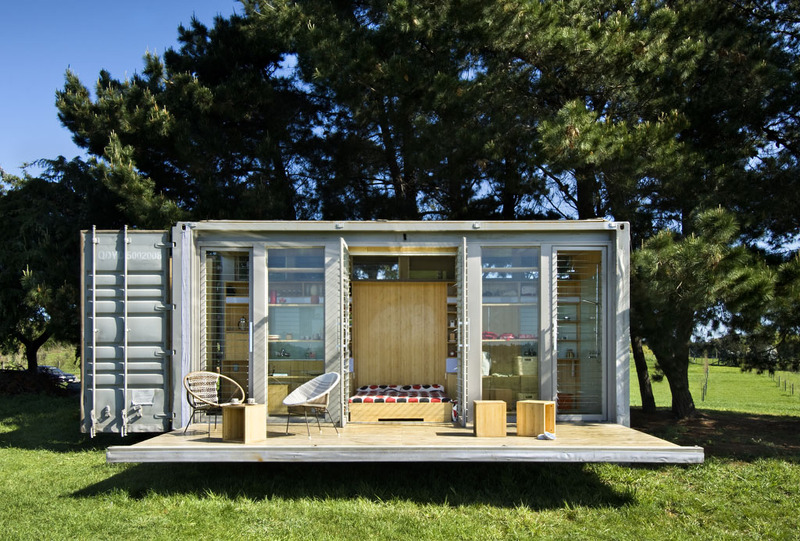 So you see, shipping containers are flexible to different uses and environments. These 5 minimalist houses are only a few example of the tons of variety shipping containers can offer to imagine. The adaptability is so vast maybe because their initial use was so simple that it exceeds it’s own purpose. 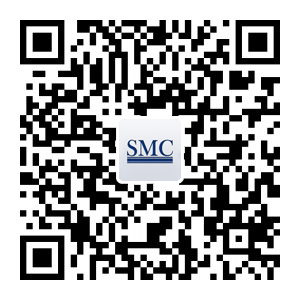 Based in China, Shanghai Metal Corporation is one of the leading businesses in the metalworking industry. As a major producer and exporter of shipping containers and other metal products and service, we essentially put our customer’s personal needs above all like these 5 container houses.